justus created T4442: Kleopatra fails to encrypt a directory. justus created T4401: GnuPG should generate a direct-key signature to constrain the primary key, and convey preferences and features. justus created T4400: GnuPG fails to parse algorithm preferences (and presumably features) from direct key signatures. justus added a comment to T4393: GnuPG should always accept key updates even if the update does not contain UIDs. Those terms are not arbitrary, they are in the RFC. justus created T4393: GnuPG should always accept key updates even if the update does not contain UIDs. justus added a comment to T3354: gpgme only builds against two versions of python at once. justus added a comment to T4119: gpg --symmetric emits a SEIP packet, but no MDC. justus created T4119: gpg --symmetric emits a SEIP packet, but no MDC. justus created T4050: GnuPG fails to decrypt file encrypted with more than one password with any password but the first in the S1 Public space. justus added a comment to T4046: GnuPG fails to verify signatures that have a issuer fingerprint but no issuer subpacket. justus created T4046: GnuPG fails to verify signatures that have a issuer fingerprint but no issuer subpacket in the S1 Public space. justus placed T2986: Can not access keyserver without the standard-resolver option up for grabs. justus committed rEd230224c38dd: tests: Do not run all tests unless in maintainer mode. (authored by justus). justus committed rEdda5fb3474a8: gpgscm: Fix -Wimplicit-fallthrough warnings. (authored by justus). justus committed rEa4dbace8c1d7: gpgscm: Library improvements. (authored by justus). justus committed rEc4230af0e62d: gpgscm,w32: Fix testing for absolute paths. (authored by justus). justus committed rEb4628b4a23d7: gpgscm: Improve option parsing. (authored by justus). justus committed rE8377569cae07: gpgscm: Make loading of modules less verbose. (authored by justus). justus committed rEc67386dcd95d: gpgscm: Fail early if the test setup fails. (authored by justus). justus committed rEf8934d091a27: gpgscm: Improve error handling of foreign functions. (authored by justus). justus committed rE895ae4c6b1bd: gpgscm: Limit the number of parallel jobs. (authored by justus). justus committed rEba3164673676: gpgscm: Make it impossible to catch '*interpreter-exit*'. (authored by justus). justus committed rEf57405bea31b: gpgscm: Improve error reporting. (authored by justus). justus committed rEd2747ce24d44: gpgscm: Fix checking for opcode arguments. (authored by justus). justus committed rE4bc110e219b1: tests: Make it possible to run all tests using our infrastructure. (authored by justus). justus committed rE197404aae66c: tests: Move the makefile parser. (authored by justus). justus added a commit to T3134: Handle tests that are expected to fail: rE212a0febf8bb: tests: Support tests that are expected to fail..
justus committed rEdd48994b0c99: gpgscm: Make it possible to set the logfile name. (authored by justus). justus committed rE272b0ad65ec4: gpgscm: Create and re-use frame objects. (authored by justus). justus committed rE212a0febf8bb: tests: Support tests that are expected to fail. (authored by justus). justus committed rEdf499c6ee5ed: gpgscm: Merge opexe_0. (authored by justus). justus committed rEb67d1a3f36f2: gpgscm: Fix test. (authored by justus). justus committed rE008894eff467: gpgscm: Improve syntax checking. (authored by justus). justus committed rE36e266a5cbb7: gpgscm: Refactor cell finalization. (authored by justus). justus committed rEe8c896c7f9aa: gpgscm: Tweak error message display. (authored by justus). justus committed rE5dc43e579ef4: gpgscm: Emit JUnit-style XML reports. (authored by justus). justus committed rEb17f7efba0d2: tests: Locate resources and scripts relative to top source dir. (authored by justus). 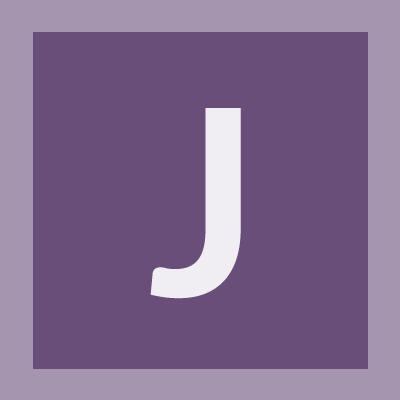 justus committed rEa3e51fab6b30: gpgscm: Make logging less verbose and more useful. (authored by justus). justus committed rEaa843dbcd32c: gpgscm: Make test framework less functional. (authored by justus). justus committed rEb03bcee96fc4: tests: Fix distcheck. (authored by justus). justus committed rE763bd518b27d: gpgscm: Move 'trace' and 'stringify'. (authored by justus). justus committed rE8bda9387d5be: gpgscm: Avoid fruitless garbage collection cycles. (authored by justus). justus committed rEd9dd8135ec6e: tests: Move common functionality. (authored by justus). justus committed rE6c9de8ff59a9: gpgscm: Refactor checking for opcode arguments. (authored by justus). justus committed rEafb7060de5c5: gpgscm: Fix opcode dispatch. (authored by justus). justus committed rEef41f332cba6: gpgscm: Mmap script files. (authored by justus). justus committed rE173531921d13: gpgscm: Improve syntax dispatch. (authored by justus). justus committed rEd6c83fbb06ab: gpgscm: Make tags mandatory. (authored by justus). justus committed rE8a2d1706e5d4: gpgscm: Deduplicate code. (authored by justus). justus committed rEbe78c20cdd93: gpgscm: Add and use opcode for reversing a list in place. (authored by justus). justus committed rE5aeeb5af96dc: gpgscm: Move dispatch table into rodata. (authored by justus). justus committed rE6d99d2f287aa: gpgscm: Remove now obsolete dispatcher function from the opcodes. (authored by justus). justus committed rEc183d8f4c6cd: gpgscm: Merge 'opexe_6'. (authored by justus). justus committed rE49c22bd71892: gpgscm: Use more threaded code. (authored by justus). justus committed rE5898ead4a99d: gpgscm: Merge 'opexe_4'. (authored by justus). justus committed rE72674f169386: gpgscm: Merge 'opexe_5'. (authored by justus). justus committed rEb13610ec7bf2: gpgscm: Merge 'opexe_3'. (authored by justus). justus committed rE7bc96831c715: gpgscm: Merge 'opexe_2'. (authored by justus). justus committed rE9fc4e6cbe6d5: gpgscm: Make global data constant when possible. (authored by justus). justus committed rE00de0fd1cebd: gpgscm: Avoid mutating integer. (authored by justus). justus committed rE961f3b3a3001: gpgscm: Remove arbitrary limit on number of cell segments. (authored by justus). justus committed rE19a1be5ac3c9: gpgscm: Merge 'opexe_1'. (authored by justus). justus committed rE7cee693e31fa: gpgscm: Allocate small integers in the rodata section. (authored by justus). justus committed rEa493ad44b6a6: gpgscm: Fix compact vector encoding. (authored by justus). justus committed rE54ea82c2e7e5: gpgscm: Initialize unused slots in vectors. (authored by justus). justus committed rE52d0423e48df: gpgscm: Fix copying values. (authored by justus). justus committed rEc9244b2eb43e: gpgscm: Simplify get-output-string operation. (authored by justus). justus committed rE6900f1183039: gpgscm: Simplify substring operation. (authored by justus). justus committed rE9a4283ed6aaf: gpgscm: Slightly improve the procedure dispatch. (authored by justus). justus committed rEcfc49428a427: tests: Create temporary directories in '/tmp'. (authored by justus). justus committed rEe1780b2f981d: gpgscm: Make test cleanup more robust. (authored by justus). justus committed rE8835ee681f5a: tests,w32: Use GetTempPath to get the path for temporary files. (authored by justus). justus committed rE053a3f9a61a2: gpgscm: Simplify hash tables. (authored by justus). justus committed rE14fcdcabb25d: tests: Rework environment setup. (authored by justus). justus committed rEa1ed4b6ab25f: gpgscm: Remove framework for immediate values. (authored by justus). justus added a commit to T2996: gpgscm crashes on big endian architectures: rEa1ed4b6ab25f: gpgscm: Remove framework for immediate values..
justus committed rE490c5d5afeaa: tests: Harmonize temporary and socket directory handling. (authored by justus). justus committed rEca3d31ec7761: gpgscm: Use system strlwr if available. (authored by haubi). justus committed rE08e1cfddc94a: gpgscm: Fix calculating the line number. (authored by justus). justus committed rE9e29af900544: gpgscm: Fix creation of temporary directories. (authored by justus). justus committed rE9b23e71a6b41: gpgscm: Track source locations in every kind of ports. (authored by justus). justus committed rE860828523508: gpgscm: Guard use of tagged expressions. (authored by justus). justus committed rE9467f3c77588: gpgscm: Improve parsing. (authored by justus). justus committed rEe982432ba666: gpgscm: Fix build with list environments. (authored by justus). justus committed rE52748cd96c70: tests,build: Fix distcheck. (authored by justus). justus committed rEfa2363d9d903: gpgscm: Optimize environment lookups and insertions. (authored by justus). justus committed rEb2db15dfe894: tests: Check expiration times of created keys. (authored by justus). justus committed rE1c99db04ed62: gpgscm: Tune the hash tables. (authored by justus). justus committed rE92e929d4b91c: gpgscm: Remove unused functions. (authored by justus). justus committed rE85f6f60197fe: gpgscm: Fix build with object list. (authored by justus). justus committed rEd374a1271326: gpgscm: Optimize symbol lookups and insertions. (authored by justus). justus committed rEe1dc204ac465: gpgscm: Provide framework for immediate values. (authored by justus). justus committed rE5809edef40ac: gpgscm: Use a compact vector representation. (authored by justus). justus committed rEe2caaa957b56: gpgscm: Introduce macro for the vector length. (authored by justus). justus committed rE7d95db002aac: gpgscm: Add 'finally', rework all macros. (authored by justus). gpgscm: Add 'finally', rework all macros. justus committed rEaa6b3449bf1b: gpgscm: Guard use of union member. (authored by justus). justus committed rE4165c9303d89: gpgscm: Use boxed values for source locations. (authored by justus). gpgscm: Use boxed values for source locations. justus committed rE56787d898a69: gpgscm: Fail if too many arguments are given. (authored by justus). gpgscm: Fail if too many arguments are given.